Table saw is an essential tool when you are working with woods. But you should know how to use it correctly when you are working with it. According to statista.org, table saw blade injuries resulted in 4,700 amputations in the year 2015. Another study shows that about 39750 injuries happens per year in this occupation. And it is increasing day by day as more and more people are getting interested in this field. Following the right technique along with proper safety, instrument helps you to be safe. Perfect execution helps to avoid all kind of injuries. So, always know the details as much as possible when working with it. 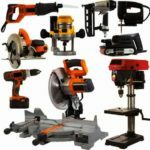 In this article, we will be talking about how to use 220v table saw switches. 220v saw blades are very popular now a day. These are easy to use. Some of the best table saw companies use extra precaution to avoid injuries. Just like the MIG welding companies, the manufacturers are looking for more safety features. Good 220v table saws are like the excellent 220v MIG welders. Both have perfect switches. Both require to be adequately handled. Switch plays a vital role while sawing. When you are working with a table saw, most of your focus is on the wood and the blade. So, the switch should be in somewhere where you can use it without losing much concentration. If you are like me, the foot switch will be a perfect choice. When you are working with a 220v table saw the switch, make sure it is always within your grip. Because delayed reaction might ruin the product and can cause an accident. Always clear your hand, fingers, face from the blade before hitting the on the switch. Most modern table saws use paddle switch that can be pulled to turn on and push to turn off. You can use your knee or legs to turn it on or off. It is super helpful as it helps you to keep your focus on the piece you are working on. Make sure to use the anti-kickback pawls. It helps to prevent the woods from hitting back. Always use a blade guard for additional safety. The switch should be large so that you can use it efficiently. If possible stand on the side of the blade. It allows you to keep you safe from the kickbacks. You can use two three-inch hinges to make the switch. This is a large safety switch which I use for my 220v table saw. Screw the swinging frame under the table. One quick hack is to use extra foam on the off switch. It helps to ease the pressure and make sure the switch is workable for a more extended period. You can make the frame from any scrap wood. The point is to keep the safe and put it in a position where you can reach it comfortably. While working, one common phenomenon is power loss. But this is the reason behind most of the horrible accident. For example, because of the power loss, the saw gets off. The operator forgets actually to turn the switch off. So, when a co-worker leans on to it or keeps anything close to it, you can imagine what can happen. So, it can cause a problem to the product materials and even some severe personal injuries. There comes the safety switch. When the saw’s power gets disconnected due to battery malfunction or power malfunction, it turns itself to the off position. One of the great brands of the table saw is Dewalt. You can find its power switch at the front. The stop switch is a large one which is easily accessible by the knee. The power switch is electronic now. So, it is easier to use. You even can secure with a padlock which comes with it. If you find any problem with the switch, contact the store. On one occasion, it was found that you have to press the switch for a few seconds to make it work. But later it was found that it was from a testing lot where stop lever spring force was too strong. You should not have that problem now. Shopfox table saw has an exciting magnetic switch for safety. This is what parts it fro its competitors. You also get a riving knife, miter gauge, 4-inch dust collection port, hand wheels. Almost everything you ask for. The last but not the least is the Hitachi 10 inch Table saw. It knows the necessity of the switch and spent lots of time designing the switch and to make it perfect. It has a tremendous power switch cover to cover the switch and a ref emergency off switch. The amazing part is, it has a shut-off cover in knee level. You can easily use it with the knee. It even has a power cut off and overload protection. It helps to automatically shut off the machine in case of a power overload or failure. It helps to keep the saw safe. And even you can use the switch very quickly. If you can’t afford to buy a good table saw with the switches, you should make one on your own. Even the 220v table saw switches can be made very quickly. But make sure it is working correctly before using it. Otherwise, an accident might occur. Some table saws have a switch in the front for quick on and off function. Though the ones you can control with the knee is highly recommended, you can use them if you are on a budget. But always keep an eye on the safety features. Because you might save a few dollars here and there, but if any accident occurs, the costing definitely will be higher. Never compromise with the safety equipment and the switch. Now, you should have a clear idea of how a 220v table saw switches work and its importance. Have a safe working environment and let us know your thoughts. We will highly appreciate it.